One of the mistakes that people make when they are refrigerating food products is that they assume that because it is in the refrigerator, it will not become rotten. Food also has a shelf life and while placing them on the refrigerator will prolong the number of days before they will rot, there will come a time when other factors will start to take over. Make sure that you transfer your milk from cartons to bottles because cartons will tend to store more bacteria. When you have leftover food, make sure that you place them in leak proof containers or wraps. Make sure also that they have cooled down before placing them on the refrigerator. Do not rewrap your fresh meat, poultry and fish because you might expose them to bacteria that way. 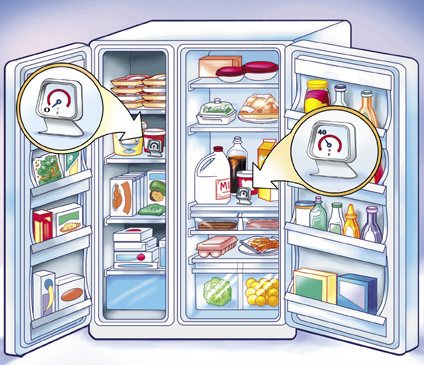 There are still other tips that you can follow for food refrigeration. This entry was posted in Food Preparation Tips, Food safety and tagged food refrigeration, how to refrigirate food, proper food refrigeration on January 31, 2014 by Yami. I would be delighted if hubby would give me a bag of Kisses as present on Valentine’s Day. Even if it’s not a practice for us to exchange gifts on Valentines, he makes it a point to buy something sweet for me and the kids. 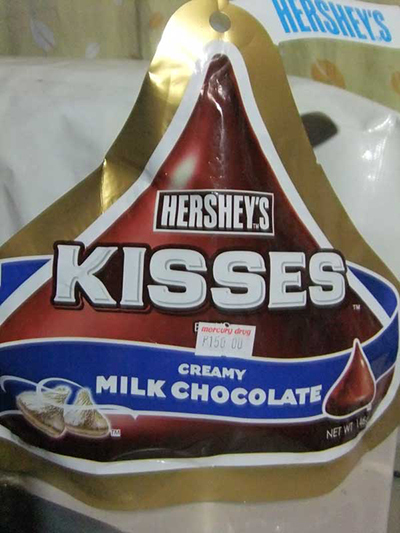 It doesn’t have to be expensive but chocolate Kisses will do. Chocolates serve as my comfort food when I feel low or when I’ve done something good or accomplished something for myself. This entry was posted in Occasion and tagged chocolate, comfort food, kisses on January 29, 2014 by Yami. The kids are requesting a different set of menu. Even if they don’t say it, I’m aware that they are sick of what I prepare for them every day. I wasn’t able to plan the dishes lately because of an on and off sickness. I only cook the dish based on the available ingredients in the fridge. Sometimes we only buy cooked viands for lunch and dinner. Hubby decided that he would do the market for now so that we can cook a decent meal. He also plans to look for a good stanton cd players on top of the market list that I gave him. This entry was posted in Family and Kids and tagged menu, menu plan on January 29, 2014 by Yami.